Can You Guess? The first concert of the New York Philharmonic involved 63 musicians. Can You Guess how many musicians there are in the New York Philharmonic now? 1720 - First performance by The Royal Academy, in London. Giovanni Porta's Numitore was played. 1798 - Premiere of Franz Joseph Haydn's oratorio The Creation. 1800 - Premiere of Beethoven's Symphony No. 1, conducted by the composer at the Hofburgtheater in Vienna. 1877 - First US performance of Wagner's opera Die Walk�re 'The Valkyrie' at the Academy of Music in New York City. 1942 - American Patrol was recorded by the Glenn Miller Orchestra. 1942 - Enid Sutherland, American viola da gamba virtuosa and composer was born. 1947 - Emmylou Harris, country and western singer, was born. 1970 - Premiere of George Rochberg's Caprice Variations for solo violin. Lewis Kaplan soloist. April 2, 1842 marked the founding of The Philharmonic Society of New York, which later became the New York Philharmonic Orchestra. 63 musicians took part in the concert , led by Ureli Corelli Hill, which took place in the Apollo Rooms at 410 Broadway December 7. The program included Beethoven's Fifth Symphony and Weber's Oberon Overture. In 1882 the orchestra made its first domestic tour in 1882, under Leopold Damrosch. In 1928 the orchestra merged with The Symphony Society of New York. The New York Philharmonic made its first European tour, under Arturo Toscanini, in 1930. The orchestra has continued its tradition of bringing music to the world. To date, the orchestra has performed in approximately 412 cities in 57 countries on five continents. Since 1980, Citibank has sponsored 16 of the New York Philharmonic's tours abroad, supporting performances in 85 different cities and 40 countries and territories. The Philharmonic has always championed the newest music of its time. Works ranging from Dvor�k�s Symphony No. 9, �From the New World�; to Rachmaninoff�s Piano Concerto No. 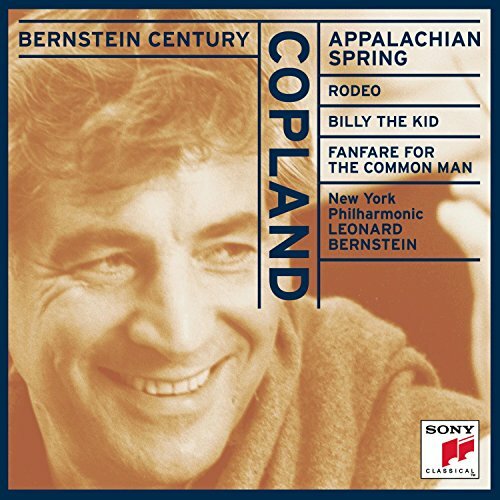 3 with Rachmaninoff himself at the keyboard; to Gershwin�s Concerto in F; and Aaron Copland�s Connotations have all premiered with the Philharmonic. 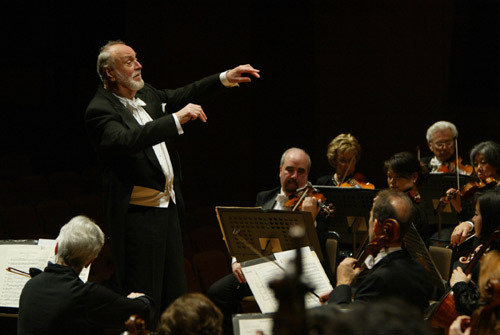 In addition, the U.S. premieres of works such as Beethoven�s Symphonies Nos. 8 and 9, and Brahms�s Symphony No. 4 were played by the New York Philharmonic. In 1922, the Philharmonic became one of the first orchestras to broadcast a live concert. Its live coast-to-coast radio broadcast of 1930 was the first of its kind. It continued live broadcasts until 1966, when radio broadcasts went for several years to a tape-delay format. In 1997 the Orchestra returned to the airwaves, becoming the nation�s only symphony orchestra to be broadcast live on a national scale, and on a regular basis. Broadcasts, now tape delayed, can still be heard on many radio stations. Click here for a list of times and stations. To enjoy these performances even more, you can look at the program notes for the concerts online beginning two weeks before the actual performance. The Philharmonic made its first recording in 1917, and has continued to make its music available to the people through recordings. Nearly 2,000 albums have been produced, with more than 500 recordings are currently available. Recordings of the New York Philharmonic are available on major labels, including Deutsche Grammophon, London, New World, RCA, Sony Classical, and Teldec. First television, and now the Internet, have further expanded the Philharmonic�s audience. For more than 20 years, the Orchestra regularly broadcast its Young People�s Concerts�, and since 1976, the Philharmonic has made frequent appearances on PBS�s Live From Lincoln Center. In 1965 the Philharmonic launched a series of free annual Concerts in the Parks. Since their establishment, these concerts have been enjoyed by more than 13 million people. The high point of these concerts was probably the Philharmonic�s Liberty Weekend Concert in Central Park on July 5, 1986. An estimated 800,000 listeners, the largest audience in history for a classical music concert, attended. The Philharmonic is dedicated to public education about music. Not only do they have a strong outreach program and open many rehearsals to the public, they also maintain a web site for kids. A GREAT Violin Shirt for an Orchestra Member! In December, 2004 there were 106 musicians in the New York Philharmonic.